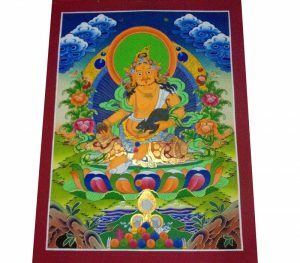 Chyangresi is the embodiment of the compassion of all of the Buddhas and is regarded by the Tibetan people as the guardian of the country. 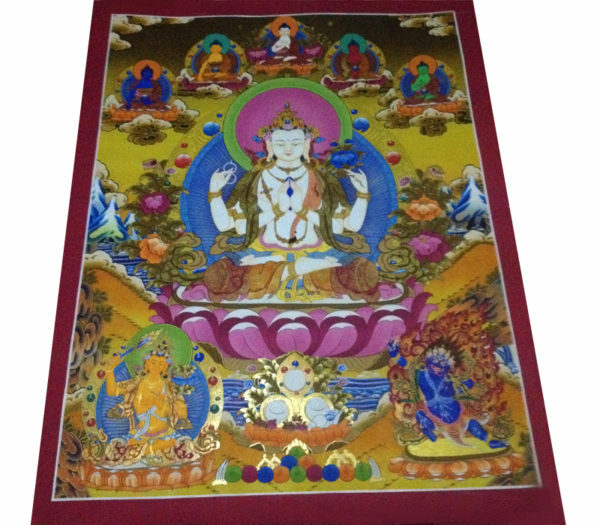 Chyangresi is a symbol of infinite loving kindness and compassion for all beings. 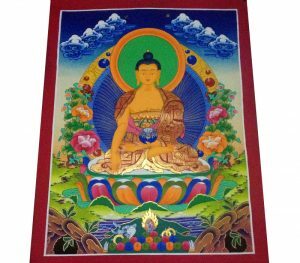 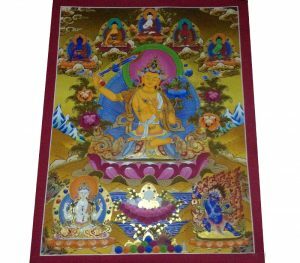 He has four arms.His first hands are pressed together on wish fulfilling jewel at his heart supplicating all buddha and bodhisattwas to look after sentient beings and protect them from suffering.